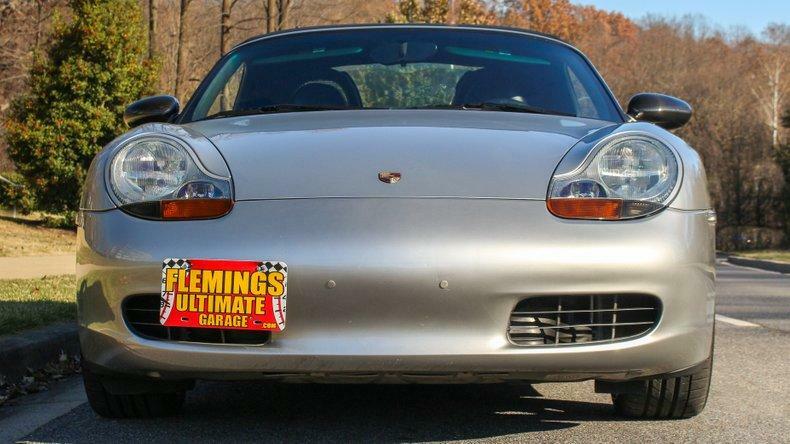 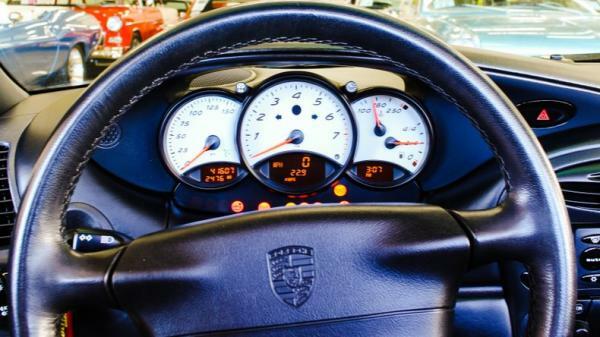 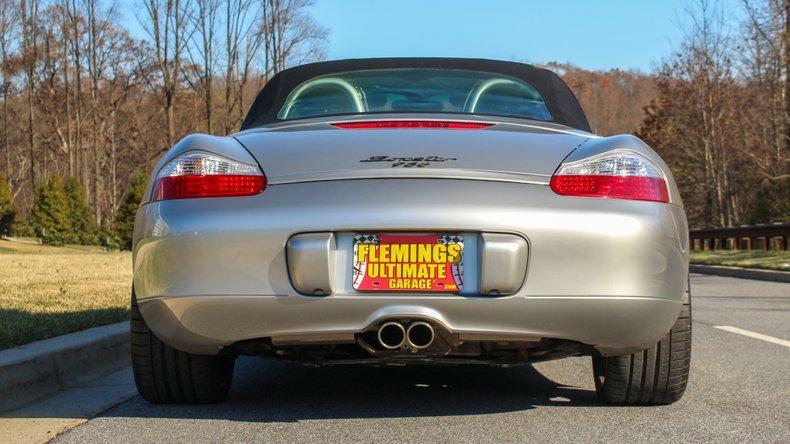 "• Super low miles great looking and Porsche power ( Only driven 2000 miles a year! ) 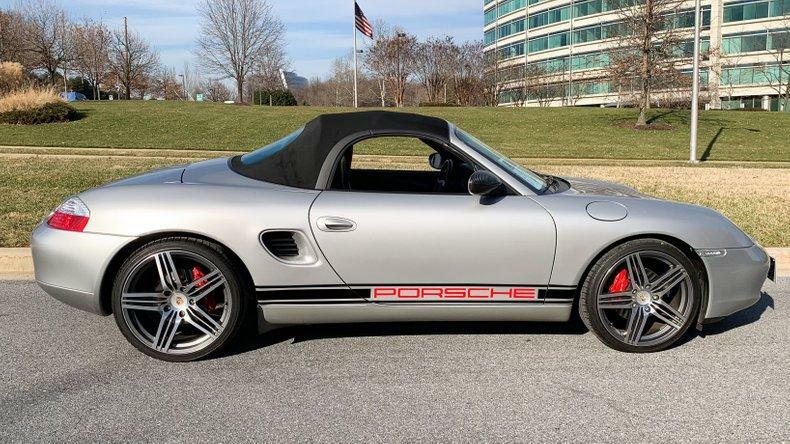 • Service records upgrades and services included • 2.5L six cylinder engine with a smooth shifting 5 speed manual transmission • Mirror finish Arctic Silver Metallic paint with black side stripe ( removable) that is freshly waxed and detailed. • Superb handling and braking that is complimented by a quick to respond power steering system front and rear stabilizer bars a speed activated rear spoiler and freshly painted red 4 piston calipers . 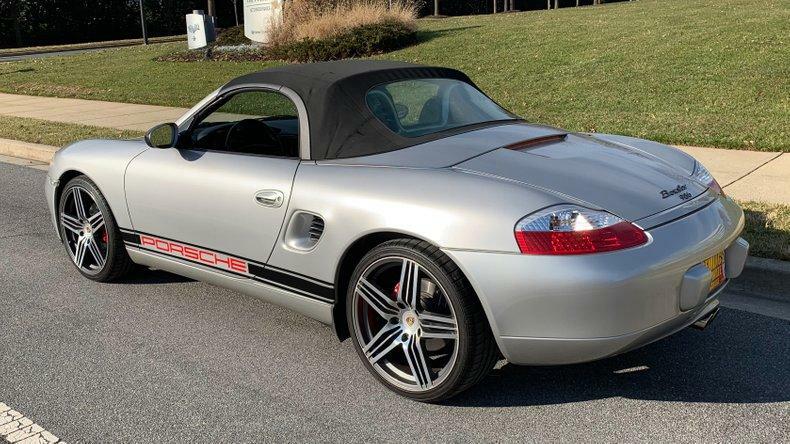 • Upgraded 19"" 5 spoke alloy wheels with factory ""colored crest"" center caps. 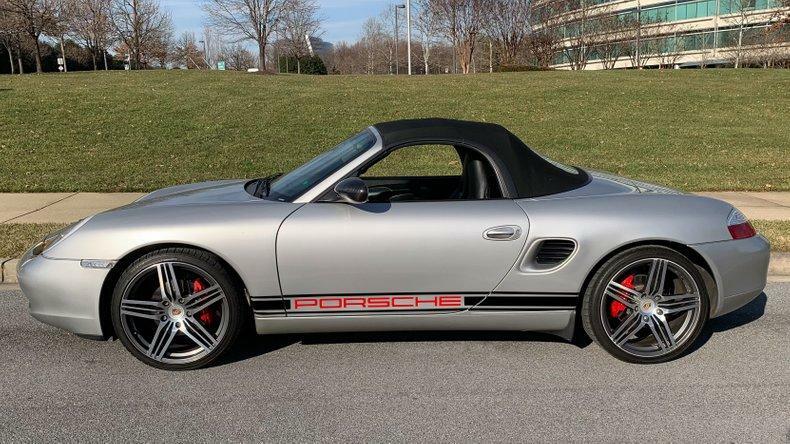 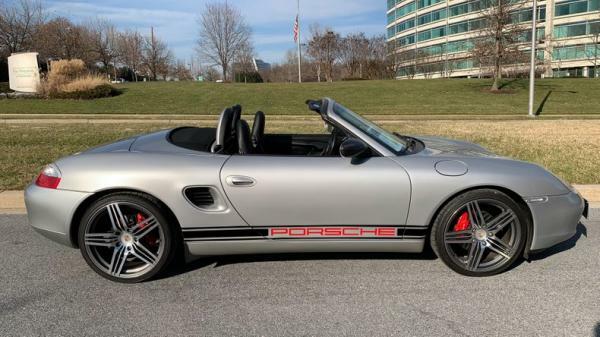 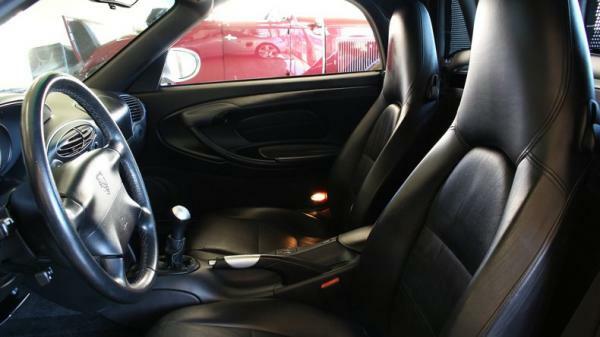 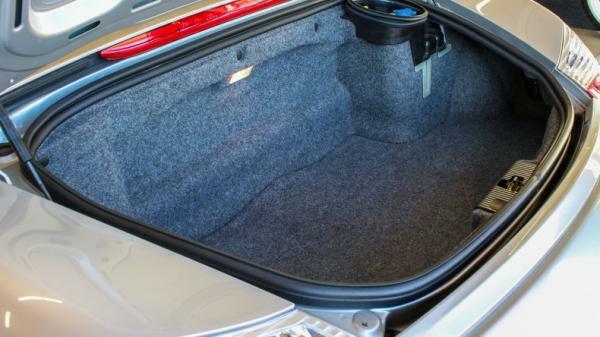 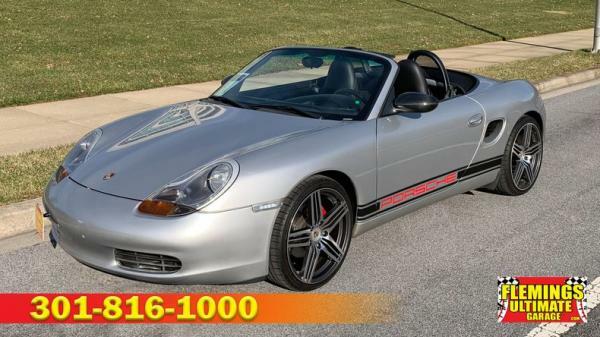 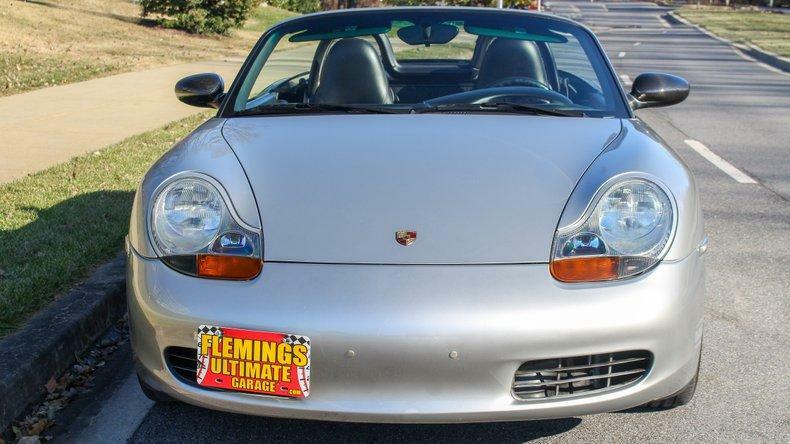 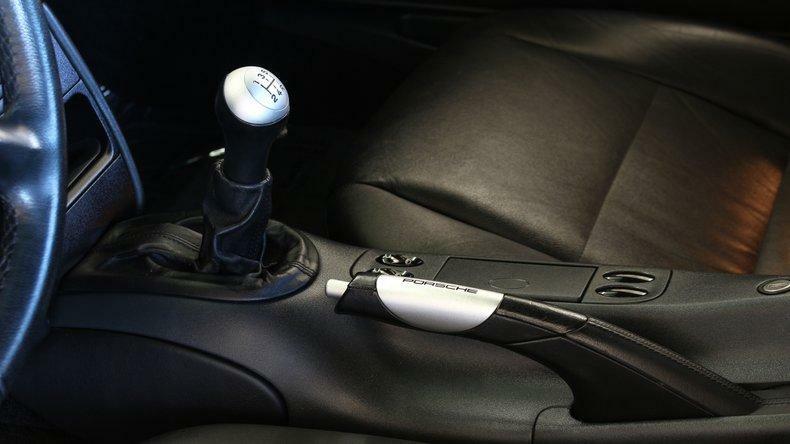 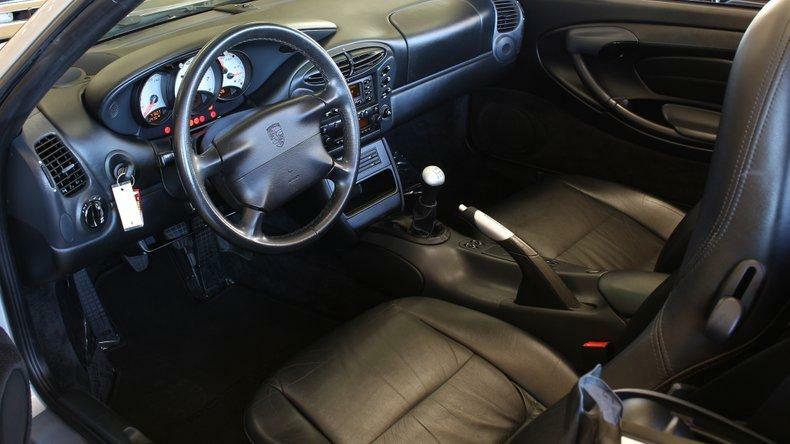 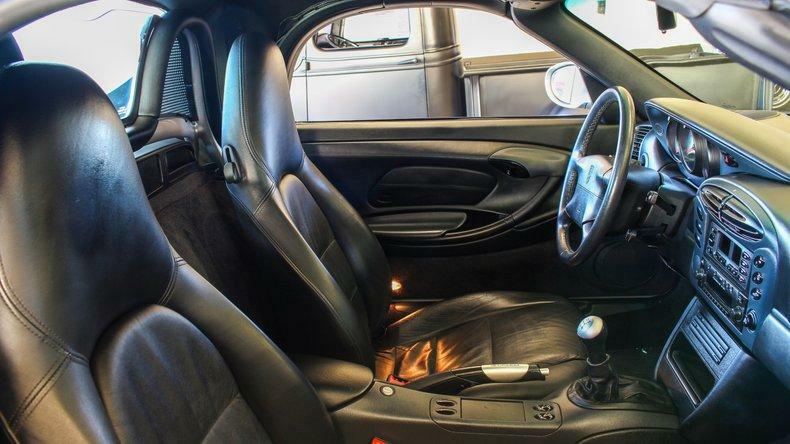 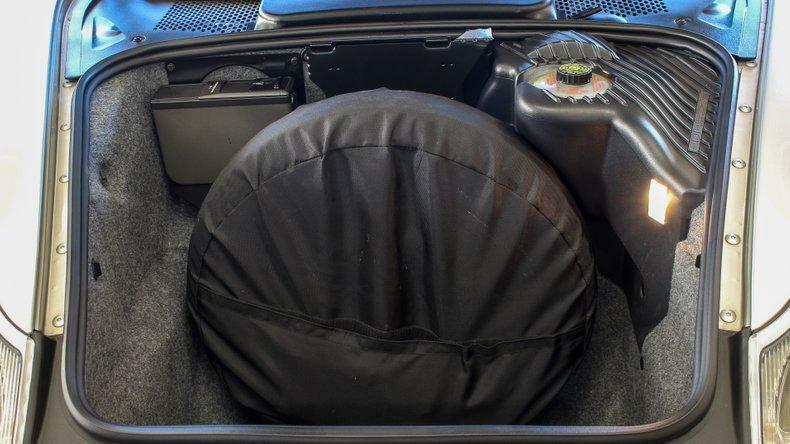 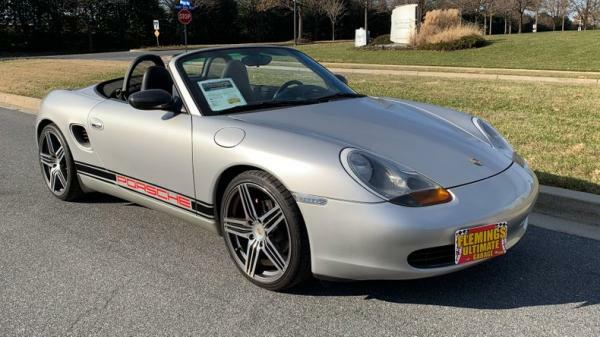 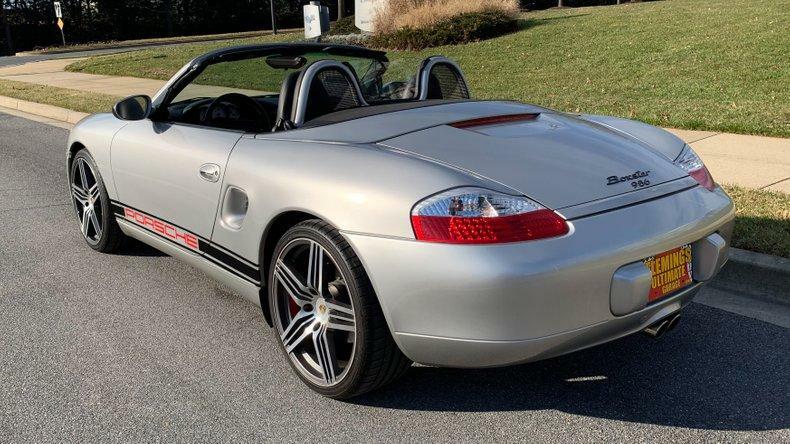 • Upgraded interior options offer black leather interior with power seats that feature power lumbar control black ""PORSCHE"" floor mats with embroidered lettering a filtered ventilation system color matched roll bar and attractive aluminum instrument cluster. 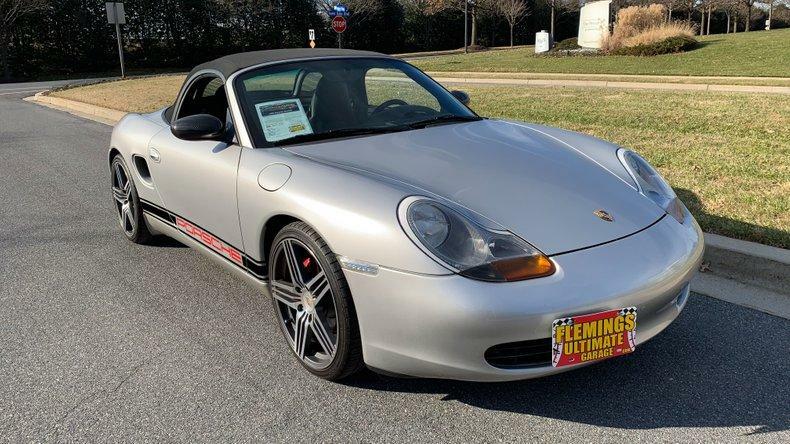 • Power convertible top windows heated mirrors cruise control auto climate control with AC and factory installed wind deflector all combine to make the ride both convenient and comfortable. 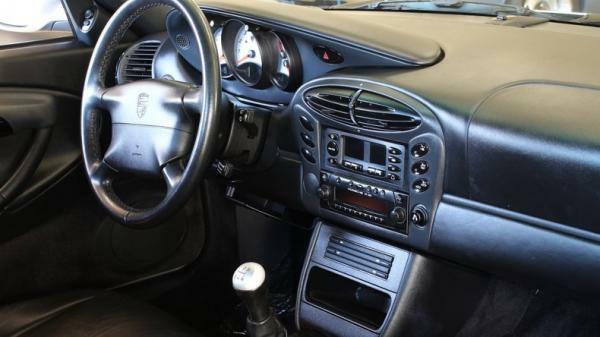 • Crisp clear sounding factory upgraded sound system that includes HI-FI Sound package 5 CD changer and CD shelf center console. 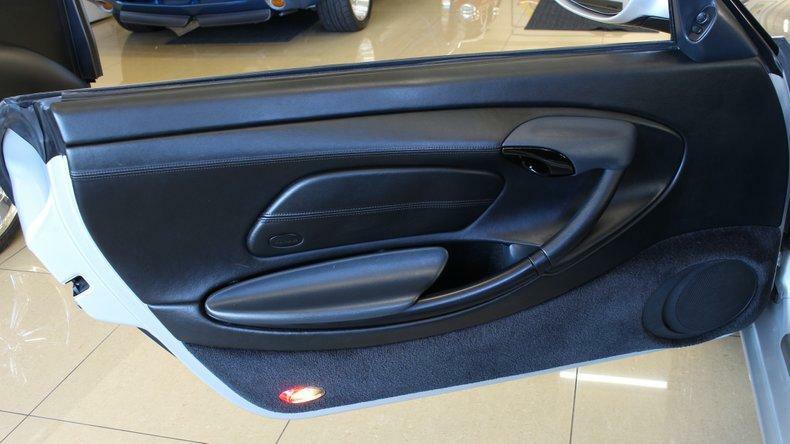 • Upgraded great sounding dual exhaust note rings from the oval center exhaust outlet. 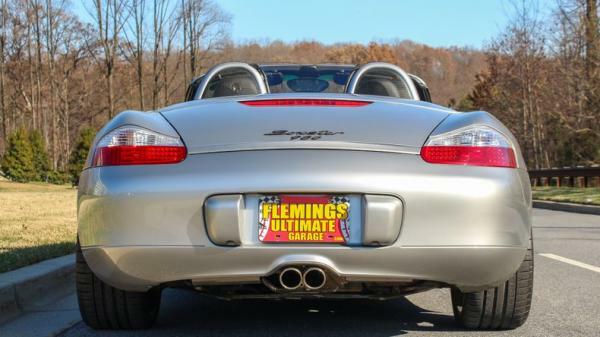 • Original window stickers owners manual and two keys are included with this collector quality Porsche. 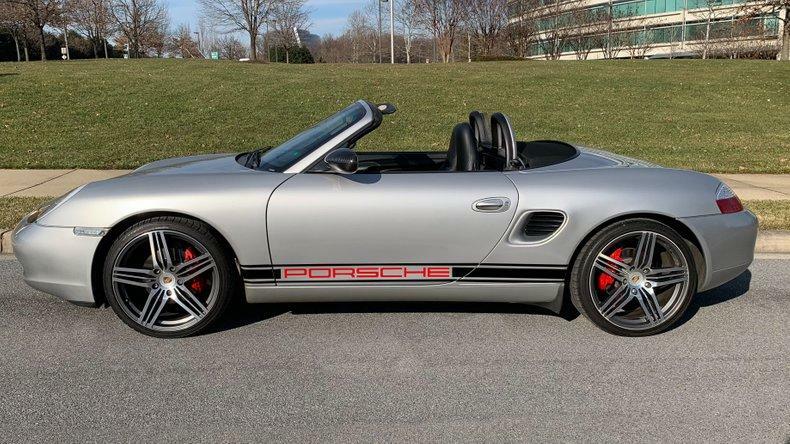 • Show or just drive this ""must have"" Porsche!"